While the actual date of John Hart’s birth is unknown, biographers have put it in the year of 1713, in Hopewell Township, NJ. His grandfather, for whom he was named, was a carpenter, who came from Newtown, Long Island. His son Edward, was John Hart’s father. Edward Hart was a Justice of the Peace, a Public Assessor, and a farmer. He arrived in Hopewell about c.1710, at the age of twenty. He married Martha Furman (Firmin), on May 17, 1712 and they had five children, all raised in Hopewell New Jersey. John Hart learned to read, write and do figures, but like most men of his time, had little formal schooling. His spelling was not of the best, but he shared this problem with many of his fellow delegates in Congress. He was said to have been a man of medium height and well proportioned, with black hair and light eyes and was characterized as handsome in his youth. He was well regarded for his common sense, was reasonably well read as proved by his understanding of the law, and showed acumen on business matters. John Hart was attracted to a young lady of considerable beauty named Deborah. She was the only child of Richard Scudder from Scudder Falls. John rode his horse approximately 30 miles round trip to court Deborah, and they were married in 1739. John and Deborah had 13 children, Sara, Jesse, Martha, Nathaniel, John, Susannah, Mary, Abigail, Edward, Scudder, Daughter deceased, Daniel and Debra, who was born when her mother Deborah was 44 years old. Deborah’s great-grandfather, John Scudder, came to Salem, MA on the James in 1635. With his brothers Thomas and Henry, John Scudder moved from there to Southold, Long Island in 1651, to Huntington in 1657 and to Newtown in 1660 where he was prominent in town affairs. John Hart began acquiring property in 1740, buying the “homestead plantation” of 193 acres in the Town of Hopewell New Jersey. In 1751 he and his brother bought a mill that they named Daniel Hart’s Mill, and in the 1770’s he acquired land making him the largest land owner in Hopewell with over 600 acres. In 1773 he bought a substantial mill enterprise in Rocky Hill with his son-in-law John Polhemus, who would later become a captain in the militia, and then in the Continental Army. On his prosperous plantation Hart had many cattle, sheep, swine, horses and fowl, and he also owned four slaves. His adult children were doing well. The original part of his home was made of stone. The original small barn is still on the property which is now privately owned. The home stands on Hart Avenue in Hopewell, New Jersey. In his 29 years of public service, beginning in 1750, John Hart rode his Northumberland thoroughbred stallion and a Bulle Rock mare several thousand miles and received meager pay for his duties. He was able to continue his public service because he became a successful farmer and businessman. 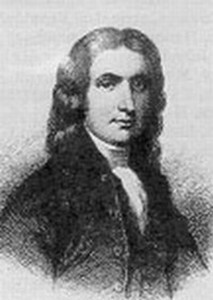 John Hart began his public service when he was elected to the Hunterdon County New Jersey Board of Chosen Freeholders in 1750, and was elected Justice of the Peace in 1755. With this appointment he was considered a gentlemen and he was able to be called John Hart, Esquire. From 1761-1771, John Hart served on the Colonial Assembly, representing Hunterdon, Morris and Sussex counties. It was there that he first met Abraham Clark, who would later become a fellow signer of the Declaration of Independence. He was appointed to the Court of Common Pleas in 1768. By 1774, he was elected to a committee to “elect and appoint Delegates to the First Continental Congress, and to protest the Tea Act”. In 1775 he was elected to the New Jersey Committee of Correspondence, which communicated and touched base with the other colonies, and served on the Committee of Safety “to act in the public welfare of the colony in the recess of the Congress”. In 1776 he was elected to the New Jersey Provincial congress, and in the same year he was designated to sign the new “ Bill of Credit Notes”, money issued by the State of New Jersey. Hart signed each note himself for a total of 25,000. Hart was often called “Honest John”. In June 1776 he was elected as one of five New Jersey delegates to the Second Continental Congress with authorization to vote for independence. His fellow delegates and future signers were Abraham Clark, Francis Hopkinson, Richard Stockton and John Witherspoon. When John Hart arrived in Philadelphia, in June 1776 to attend the Congress, he strongly supported the idea of Independence. John Hart was the thirteenth delegate to put his signature on the historic document. He was willing to pledge his life his fortune, and his sacred honor in doing so. In August of 1776 New Jersey elected a General Assembly under their new state constitution. Hart was elected to that body, and was selected to be Speaker. He soon returned home to attend to family matters. Sadly, his wife Deborah died on October 8, 1776 with John at her side. In December of 1776, as Washington’s army retreated across New Jersey, the British and Hessians ravaged the Hopewell area. Hart’s home and property suffered severe damage, two young children fled to the homes of relatives and Hart himself took refuge wherever he could in the woods, hiding in caves and in the Sourwood mountains. When the British began their withdrawal from the area after the American victories at Trenton and Princeton, Hart returned to his home. In June 1778, John Hart invited the American army to camp at his farm. Washington accepted his offer, and 12,000 men camped in John Hart’s field during the growing season, and refreshed themselves with the cool water that flowed on the property. The troops left on the 24th of June, and four days later fought and won the Battle of Monmouth. John Hart died of kidney stones after a long and very painful suffering. He was in his home surrounded by family, and died on Tuesday, May 11th 1779, at the age 66. John Hart died owing money, and most of his property was sold for a pittance. His sons later moved from Hopewell, but his daughters married men from the surrounding area. Part of John Hart’s land called the lower meadow was donated to the Baptists in 1747 to build a church and cemetery, which is located on Broad Street in Hopewell New Jersey. John and Deborah’s remains were transferred to this cemetery. The obelisk marking John Hart’s Grave has the date of John Hart’s death as 1780, but most biographers and the NJ Gazette say that he died on May 11, 1779. John’s will was dated April 16, 1779. On May 19, 1779 The NJ Gazette wrote: On Tuesday the 11th instant, departed this life at his seat in Hopewell, John Hart, Esq. the Representative in General Assembly for the county of Hunterdon, and late Speaker of that House. He had served in the Assembly for many years under the former government, taken an early and active part in the present revolution and continued to the day he was seized with his last illness to discharge the duties of a faithful and upright patriot in the service of his country in general and the county he represented in particular. The universal approbation of his character and conduct among all ranks of people, is the best testimony of his worth, and as it must make his death regretted and lamented, will ensure lasting respect to his memory. Benjamin Rush, a signer of the Declaration of Independence, described John Hart as “a plain, honest, well meaning Jersey farmer, with but little education, but with good sense and virtue enough to pursue the true interests of his country. Charles A. Goodrich, Lives of the Signers to the Declaration of Independence, web edition, New York: William Reed & Co., 1856. My great grandmother mas Ethel hart mackie and I am trying to figure out how she is related to John hart. She was born in the Pittsburgh area. Any info you have may be helpful. Suesan, I need some more data. I have two Ethel Harts in our records. Ethel Rodia Hart, b. 1892, m. Robert David Tryon 1915. The other is Ethel Pearl Hart, b. 1916, no additional information. I have no Mackie surnames in our records. It is possible that your GGrandmother is a relation of John Hart, the Signer, but not a descendant. We do not keep track of the relatives, only the descendants. My mother is Virginia Ann (Stevens) Tessier, daughter of Clarence J. Stevens. He was the son of John McKinney Stevens II, who was the son of James Todd Stevens (b. 16 October 1820, d. 2 February 1877) who was married to Harriet Hart Stevens (Iowa) b. Ohio 29 November, 1821. Died 1 April 1984. She is buried next to her husband James Todd Stevens (my great-great- grandfather) in Cedar County Iowa. She was supposedly the great-great-granddaughter of John Hart, through her father Abram Hart (b. Hamilton, Ohio 1792, d. 1834 Ebenezer Road, Green Hamilton, Ohio). Is there any truth to this? Lori, there are some real teasers here, but nothing I can nail down. Lets start with the 4th generation name, Abram Hart. I have no record of an Abram Hart, but in the 4th generation, we know that Nathaniel Hart was born in Lebanon, OH in 1809. We know his father is Zephaniah Hart. It is possible that Abram is his son, but you would have to make that connection, if it exists. We know that Nathaniel had a cousin Zephaniah also born in Lebanon, so we know the Harts were in Ohio in the time of Abram’s birth. I have no record of any of the names you have mentioned. But I think you should continue your quest as it is possible that you will find some new genealogical information. The Harts are a particularly interesting family because there are so many descendants, they did begin the western migration early on and we have lost track of many of them. I did find a reference to Abram Hart in an SAR application 73804, but he is the son of Thomas Hart of Connecticut, and the SAR application does not contain location information. I can neither confirm or deny the connections you have outlined. I’ve traced my family genealogy to my 3rd great grandfather Alonzo Buck b 1859, d 1934 in Roane County, WV. He married Deborah Findley b. 1867 d. 1958 Roane County WV. I’ve seen a lot of data that shows her to be the dau of John Findley and Deborah Ann Hart b. 1826-1867 who died just after her birth in Barbour County, WV who is the dau of James Montgomery Hart and Eleanor Chenoweth. I got one line from the book the Harts of Randolph, mostly Edward & Daniel by Katherine Hart Frame. I’d like to know if you also have this same ancestry line? Jesse Hart, oldest son of John, moved to Washington County, PA. Do not know all his children but a Daniel Hart (not the original John Hart’s son), lived in Beaver Co., PA in 1810. Daniel was married to Sarah and their son, John Hart was my gt grandfather. Is there any connection between Daniel and Jesse to trace back to the original John Hart? Jesse Hart, oldest son of John Hart, the Signer, married Matha Mattison. Both died in Beaver County, PA. But they did not have a son Daniel. I can find no Daniel Hart in the third generation in our records who married Sarah. 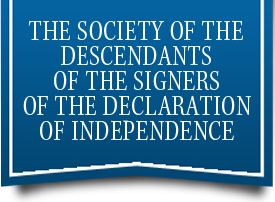 My Grandmother was a Hart and she always told my siblings and I that she was descended from John Hart, a signer of the Declaration of Independence. I have been able to trace her line back to John Hart born 1798 in PA. The only record I have with his information is the 1850 census showing him living with his wife, Jane Macbeth, in Carrol, Washington, PA. I am looking to see if there is a connection with John’s son Jesse who died in Beaver, PA. Is there any connection you know of through Jesse (or another of John Hart’s sons) to this John Hart? Eric, let’s start with Jessie, son of John, the Signer. This Jesse does have a son John Dickey Hart, but his birth date is 31 Oct 1770. So that is not the John Hart you are seeking. The signer had another grandson John, b. 27 Oct 1789 but he and his offspring migrate to the Ohio territory. Another grandson John, is born in 1779 in Tinnicum, PA. Yet another grandson John is born in NJ and migrates to Randolph County, VA. I have no record of a Jane McBeath. I suspect your Hart line is not descended from the Signer, John Hart. We were always told we were decedents of John Hart the signer of the Declaration of Independence. My great grandmother was Cora Belle Hart, born in Arkansas. Her father was Council Lambeth Hart, B1848 in Tennessee. His father was Henry Hart, B 1781 in New Bern NC and married to Barbara Lambeth. Henry’s father is Edmund Hart, B 1757 in Midway Georgia, and married to Mary Burton. Bonnie, I have not record of any of these names. I am also suspicious that there is a connection as the Hart family of the Signer hailed from New England at the time your Edmund was born in Georgia. How was Albert Acker’s wife related to the Signer or one of his ancestors? Price, I can find n o record of Sarah being a descendant of the Signer. 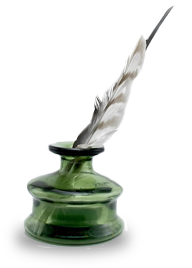 We do not track relatives of a Signer, so I cannot assist you with your question. My linage has been traced back to John Hart, the signer of the Declaration of Independence, but I do not understand the difference between a descendant and relative. My name is Sandra Powell Davis. My father was Connie Powell who married my mother Emma Josephine Austin; his mother was Lula Talbott who married John Hathorn Powell; her father was John Christian Talbott who married Olive Naoma Painter; his mother was Margaret Elizabeth Hart Capito who married Edward Stevens Talbott; her mother was Jerusha Hart who married Daniel Capito, Jr.; her father was Daniel Hart who married Margaret Peggy Bunn; his father was John Hart who married Deborah Scudder. This John Hart signed the Declaration of Independence. Am I a descendant of John Hart? or am I a relative of John Hart? Or what am I considered. Is it correct to consider John Hart, the signer, my great, great, great, great, great grandfather? Sandra, as our records stop with Lula, I cannot firm from that point down. But if you have good documentation from you to Lula, then I can confirm that you would be a descendant of the Signer. I do encourage you to apply for membership in the Society as that is the best way to update our genealogical records. Do you have any knowledge of the generations between John Hart, Signer, and Daniel Hart? Thank you! We have no records of a Daniel Hart born in Vermont. I suspect a different family as none of the first several generations seem to have gone to Vermont.